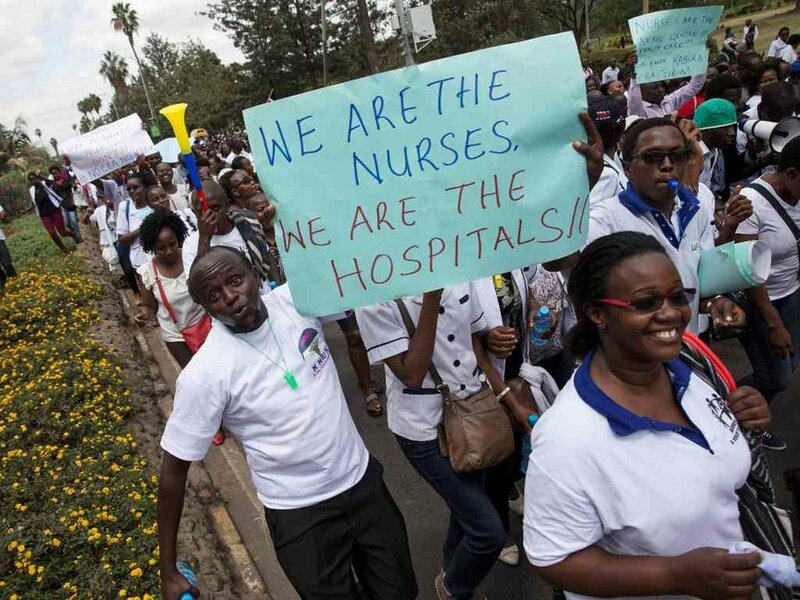 Nurses have gone on strike over the unfulfilled collective bargaining agreement to increase their salary three years ago. Salaries and Remuneration Commission chairperson Lyn Meng’ich declared that the government would not be able to meet nurses’ pay demands because it can’t afford to. Council of Governors, Ministry of Health and the National Treasury have all confirmed that they do not have money to pay the nurses. “If we give in to the nurses’ demands, other health workers will also demand the same. This will have a ripple effect on the health sector,” she said. In the meantime, Kenya’s healthcare services will be affected given that 80 % of the medical needs of Kenyans are handled by the nurses.